Award winning Sauti Sol has just announced that their new hit “girl next door” is no 1 on trending. Sauti Sol is a Kenyan afro-pop band formed in Nairobi by vocalists Bien-Aimé Baraza, Willis Chimano and Savara Mudigi in 2005. Guitarist polycarp Otieno joined and they named themselves Sauti. 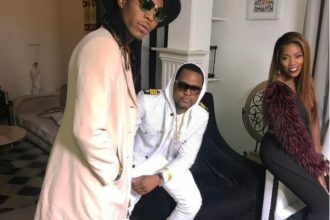 Sauti Sol recently released the lovely tuned music along side Tiwa Savage of Nigeria .Marvin’s first lady, Tiwa seems to be on every hit song now. 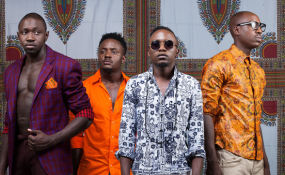 The afro-pop group, Sauti Sol are starting the year on a very good note with this single. We expect more surprises.